This is the Hyundai Intrado concept, destined for the 2014 Geneva motor show. It’s a hydrogen-powered crossover penned by Peter Schreyer, the head of Hyundai’s design team, CEO of sister-brand Kia, and with a stint at Audi on his CV to boot. What’s innovative about the Hyundai Intrado? It’s made from super-lightweight steel, affixed to a carbonfibre chassis which Hyundai has left exposed (party to show off) but also to save weight. Even the car’s name is supposed to hint at lightness – it’s derived from ‘intrados’ – the underside of an aircraft wing which creates the low pressure zone that generates lift. Inside, the minimalist cabin features seats clipped directly to the Intrado’s carbon superstructure, and a Ferrari-style ‘bridge’ centre console. The lack of fiddly components is supposed to make the Intrado not only lighter, but easier to build and simpler and faster to repair. What powers the Hyundai Intrado? 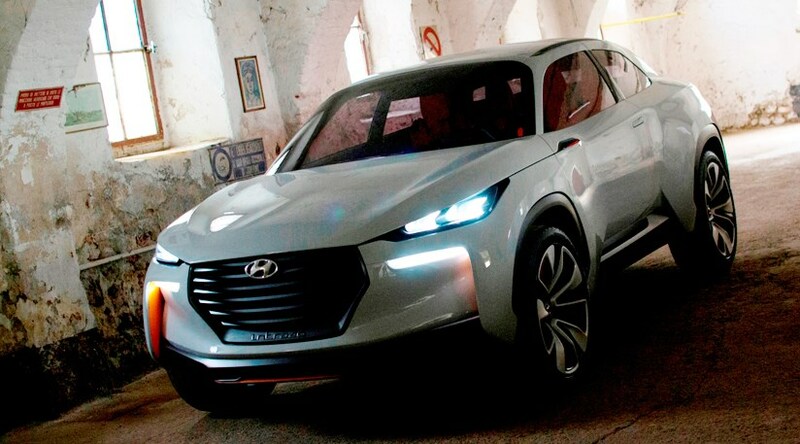 Underneath, the Intrado uses a hydrogen fuel cell powertrain, thought to be a development of the ix35 FCEV’s powertrain – the world’s first series production hydrogen fuel cell vehicle, according to Hyundai. Supplying charge to a lithium-ion battery, the fuel cell powertrain can provide up to 372 miles of range, Hyundai claims, and can be refuelled in a matter of minutes – faster even than fast-charge electric cars which slash charging times from several hours down to around 30 minutes. Are we likely to see fuel-cell power becoming a viable solution soon? London is pushing ahead with schemes to encourage hydrogen car usage. The UK’s capital is a notorious offender for harmful NOx gas emissions – not something hydrogen cars contribute to, given they only emit H2O. One idea is to harness that waste H2O to encourage ‘fuel cell farms’. They work by growing plants in water enriched with minerals from fish waste. The water comes from condensing the vapour emissions of hydrogen cars and using it to fill commercial fish tanks. So, in the future, driving your hydrogen-powered Hyundai around the South Bank could indirectly be growing extra vegetables. Will we see a production-ready Hyundai Intrado? No – this isn’t a preview of a specific new car, but rather a collection of new design cues and technologies we’ll see in all future Hyundais. Hydrogen power is a big part of that – already out on the roads with the ix35 FCEV. The Schreyer-penned styling will be carried over into the brand’s new models, with the new i20 supermini, due for replacement later in 2014, likely to be the first recipient. 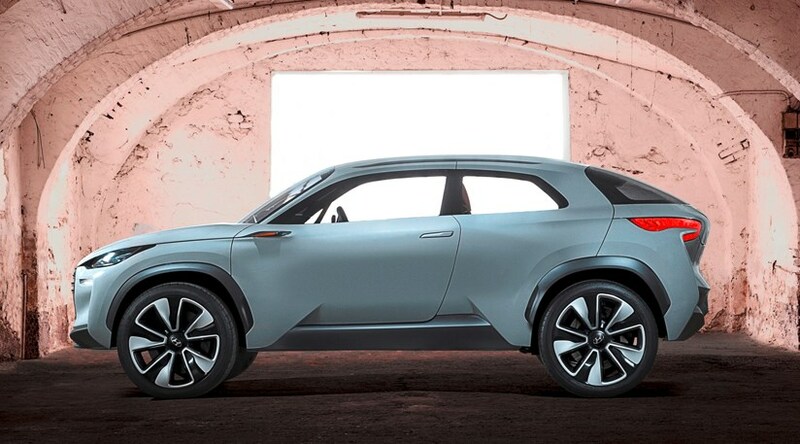 Meanwhile, the Intrado’s lightweight carbon structure is too radical for series production just yet, but Hyundai promises that its future cars will diet hard to live up to the Intrado’s minimalist vibe.